Theater, drama, comedy, music in theater, illustrative music, music and stage movement. 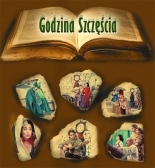 Jarek Kordaczuk - theatrical music composer, creator of theatrical works, the author of music for theatrical productions. Works based on the screenplay and independent stage works for the theatre.